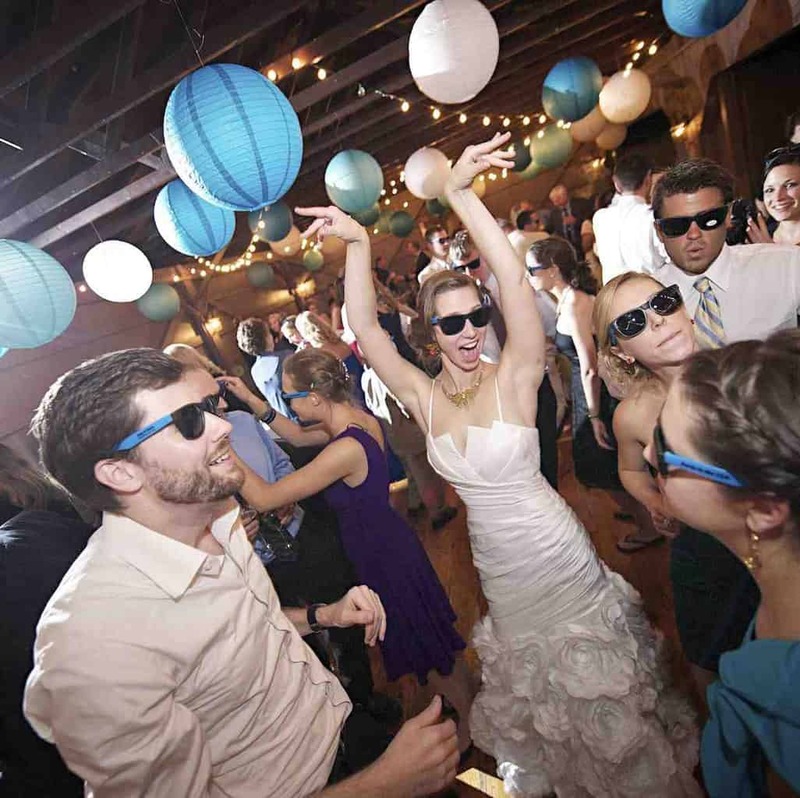 We’re St. Louis Wedding DJs Who Keep Your Guests On The Dance Floor, Chanting For More. 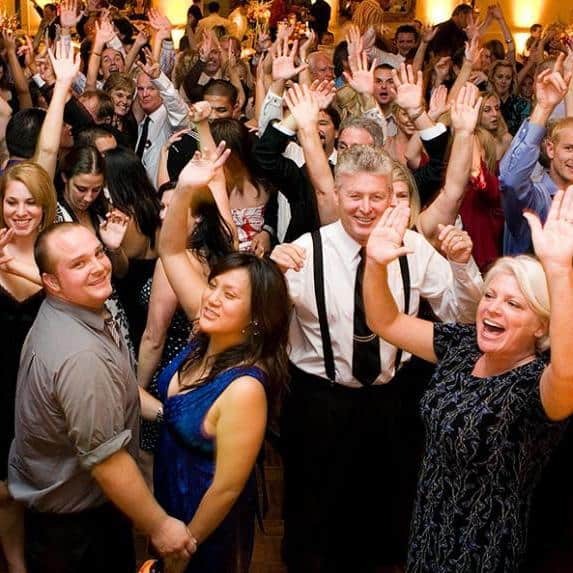 Rest easy and rely on our more than 15 years of Wedding DJ experience successfully providing entertainment for hundreds of weddings in the St Louis area. With our multi-award winning DJs, you can trust that your wedding entertainment will go off without a hitch. What’s the secret to our approach? Unlike larger multi-operational DJ companies, we take the time to get to know our couples. This way, we can help create the perfect wedding day for you, your fiancé, and your guests. You’ve been to those wedding receptions with an amazing DJ. That DJ who keeps everyone on the dance floor, knows just what the crowd likes, and makes sure each person has an unbelievable time. Polished, professional, and personal. That’s what you’ll remember about Premier Entertainment. No sequined vests, conga lines, or corny DJ voice. We are St. Louis wedding DJs for fun-loving & easy-going modern couple. Is that you? You’ll know you’ve made the right choice even before your event. We set up a time for a planning meeting before your event. We provide music and event advice from our extensive experience. We build an event timeline and reach out to your other vendors ahead of time so everyone is ready. We take care of everything related to your entertainment. No matter the occasion, from Weddings to School Dances, choose the DJ services of Premier Entertainment. Our focus is on customer service as well as having the most talented, entertaining, and professional DJs in town. We have disc jockeys for any type of event. Passionate is one word I would use to describe myself when it comes to my work. I don’t know that I can even call it work because I truly enjoy what I do so much. I love weddings and the idea of marriage, which makes it possible for me to put my heart and soul into every event I DJ. My job doesn’t simply stop behind the DJ booth; I like to get more involved by playing an event planner role the day of the wedding. I make it a success by handling every aspect I possibly can so that the bride and groom can just enjoy their day. My passion for music has expanded into the world of weddings. I have been fortunate enough to bring that dedication to a large number of brides, grooms, charities and corporate events! I bring my devotion, my hopeless romantic nature, my vast musical experience, and professionalism to each event. I am focused on providing the highest quality music, lighting and entertainment for you on your big day. I strive for perfection at every event and give you peace of mind when choosing me. 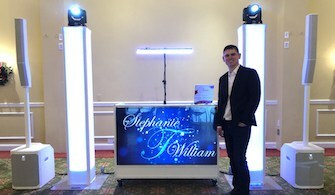 I have years of experience behind the booth and I believe the customer should be stress free on the day of the event. I started djing back in 2012 with a passion for music and a mission to bring the highest quality performance to any venue. 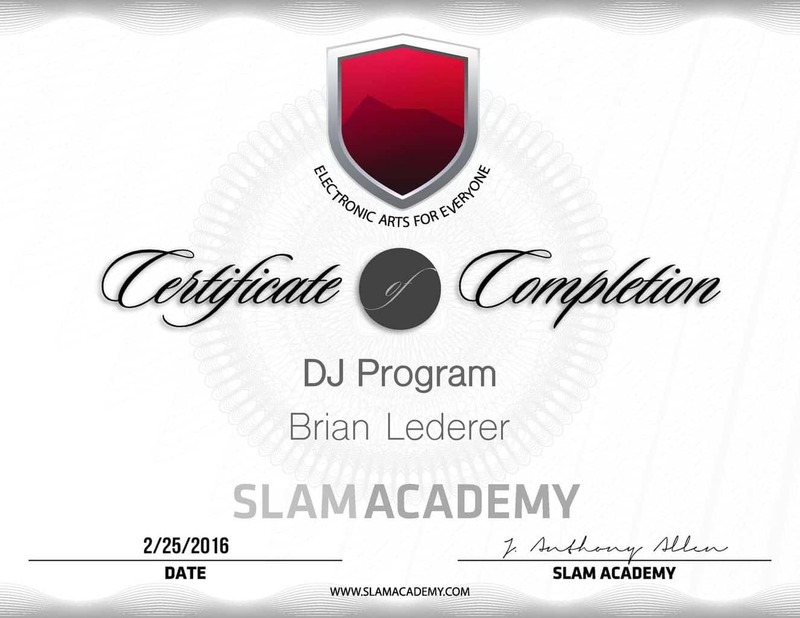 Over the years I became a certified DJ by Slam Academy and have performed over 100 weddings. I look forward to planning a night you’ll always remember! 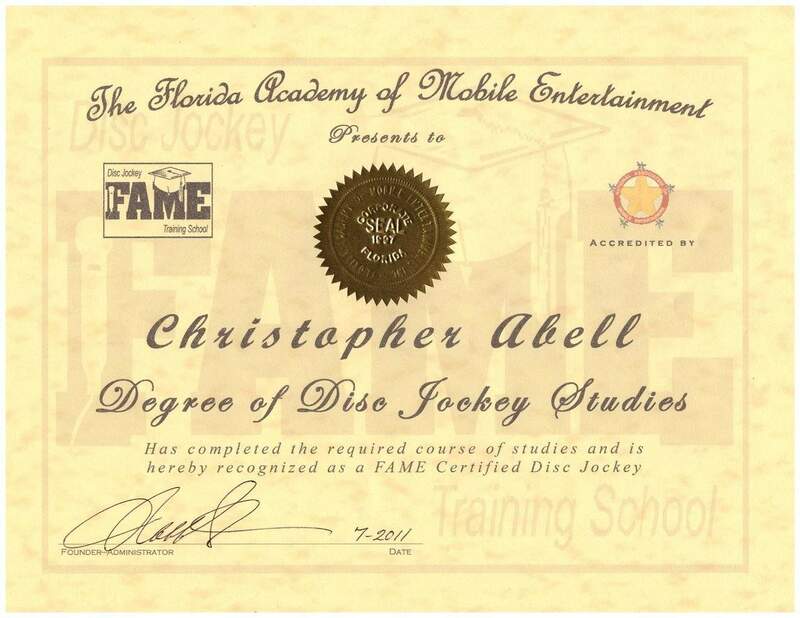 I’ve spent my entire life surrounded by music & entertainment! Being a professional musician & DJ is a dream job come true for me, so it’s as if every event I do, is not like work at all! I specialize in “getting the party started & keeping it going!” My goal is to always make sure your special event is extremely memorable, in a great way! I will work with you on any and all aspects of the event, making sure everyone’s on the same page to ensure your party goes off stress free and as smoothly as possible. My biggest claim to fame is being a part of the American Idol Tour Season 3, right here in St. Louis @ our very own Scottrade Center, as well as opening up for Chuck Berry in the Duckroom @ Blueberry Hill. These specific accomplishments have made me forever humble and seasoned in performing in front of groups up to 3,000 people! From the time we first speak, all the way to the end of your event, consider me your personal event planner and DJ! I can’t wait to be a part of your special day! Choosing a professional DJ is key to a perfect event, especially a wedding reception. I will do much more than sitting in the corner playing from a playlist. I will gather all the details about your reception to make it just how you’ve dreamed it would ever be. I will read the guests though out the night and make sure I play the right music that keeps them moving and dancing. I have lots of years of experience and MC skills. I will facilitate you entire events and inform the guests what is going on so no one is left in the dark. On the flip side, I will interact with them as little or as much as you would like me to. Let’s start planning today. My passion is making every DJ experience the best it can be. I bring over sixteen years of experience that have included many different and unique types of gigs. Every wedding is special and requires a DJ who can read the crowd and play that perfect song at the perfect time. I have extensive experience playing music from all genres and mix all music live to create an energetic dance floor and am always open to requests. Working together with you is key to ensure you get the experience you have always dreamed of. I can’t wait to be your DJ! For the past 7 years that is exactly what i’ve been doing as a DJ and emcee in the Saint Louis, MO. area. With the ability to adapt my style to suit the needs of the crowd, I use my vast knowledge and of love for all genres to make even the most stubborn of party-goers move their feet to the beat. I grew up listening to the R&B sounds of the 70’s and 80’s that my parents loved and a lot of that stuck with me as i grew up. As I grew older I began to appreciate the sounds of hip-hop, pop and rock music I discovered from radio DJs, friends, MTV, VH1 and movies from the 80’s and 90’s. I really miss the days of amazing sound tracks from movies! I discovered EDM music from hanging out with friends in my 20’s and I’m thankful for that exposure as it has really instilled my confidence in being able to play almost any kind set for any crowd whether it be a night club or private party. I use this love of music to rock dance floors all over the area from Soulard to Washington Avenue to Clayton and St. Charles. My style of blending old and new music at just the right time, no matter what the genre, has cemented my status as one of the areas go to DJ’s. The best part of what I do is when I look out on the dance floor and see the look on peoples faces when ‘their song’ comes on. Music has the ability to bring so much joy to people and its a good feeling knowing you helped take them there. Everyone at a wedding is expecting to have a great time, so I love to live up to those expectations! I really enjoy the smiles on the faces of the bride and groom at the end of the night. It is a wonderful feeling of accomplishment! I will make sure that each bride and groom get the wedding reception they have always dreamed about. I get to be a part of bringing that special day to a reality in their lives. I enjoy interacting with the crowd and providing a fun atmosphere that will be remembered for a lifetime. Creating this once in a lifetime moment requires years of hands-on experience. You can be sure with our expertise and the highest quality sound available, that there will be no compromises in making sure your day goes exactly the way you’ve always dreamed.